Download "CPU Scheduling. Basic Concepts Scheduling Criteria Scheduling Algorithms Multiple-Processor Scheduling Real-Time Scheduling"
4 Nonpreemptive and Preemptive Non-preemptive Once a process is in the running state, it will continue until it terminates or blocks itself for I/O Preemptive Currently running process may be interrupted and moved to ready state by the OS Preemption may occur when new process arrives, on an interrupt, or periodically. 16 Example of Multilevel Feedback Queue Three queues: Q 0 time quantum 8 milliseconds Q 1 time quantum 16 milliseconds Q 2 FCFS Scheduling A new job enters queue Q 0 which is served FCFS. When it gains CPU, job receives 8 milliseconds. If it does not finish in 8 milliseconds, job is moved to queue Q 1. At Q 1 job is again served FCFS and receives 16 additional milliseconds. If it still does not complete, it is preempted and moved to queue Q 2. CSC 271 Software I: Utilities and Internals Lecture 9 : What are Processes? The Process Concept Originally, computers ran only one program at a time, which had total access to all of the computer s resources. 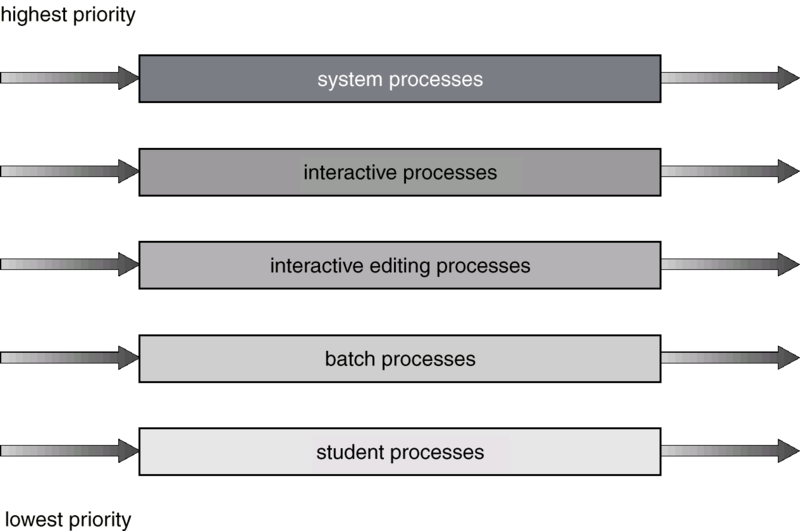 Volume No, Special Issue No., May ISSN (online): -7 PROCESS SCHEDULING ALGORITHMS: A REVIEW Ekta, Satinder Student, C.R. College of Education, Hisar, Haryana, (India) Assistant Professor (Extn. ), Govt.